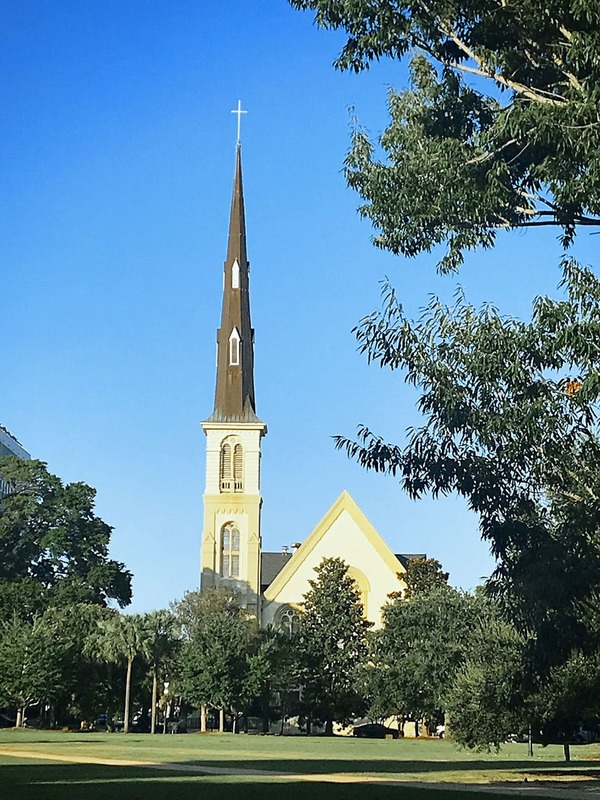 We found plenty of things to do in Charleston for a 4 day getaway. I had never been to Charleston so this was a treat to visit a true southern town in the United States. 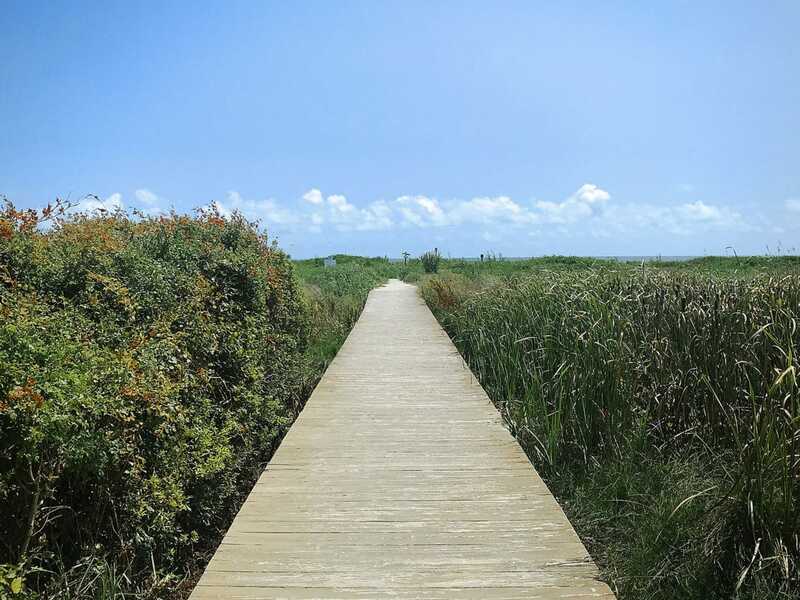 The first thing to do in Charleston is check out the beaches that everyone talks about. They have a long coast of beaches to visit but you have to get there early to enjoy the beach front of Charleston, SC. The weather is very warm in Charleston for the summer time and it reminded me a lot of Florida. The average was 99º degrees and humidity was about 78% so this is hot! 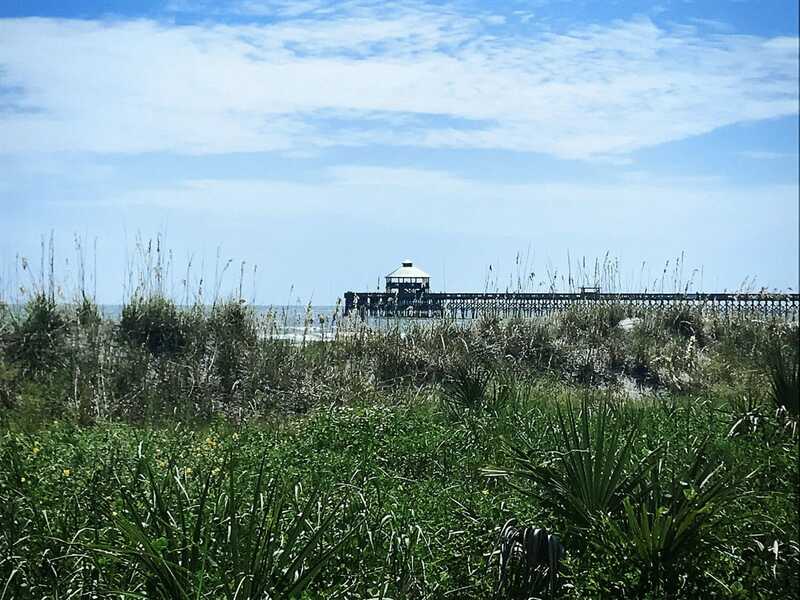 Our first stop was on Sullivan’s Island and before you get to the beach don’t forget to bring cash for meters. Its about 20 minutes out of downtown Charleston so it’s a pretty quick ride. Even though it was beautiful to look at, it was way to hot for us so we decided to have something to eat with a cold, glass of ice tea. My brother and his wife joined us on this day so we went to the beach together. The water is pleasantly warm without being overly crowded. The parking in the area is very challenging so get there early in the morning or late in the afternoon to park your car. Due to the limited parking the beaches are never really crowded. The beaches are very clean and quite. We all agreed that one should rent a beach house if you want to stay in the area. It makes it much easier and pleasant to go on that beach. Also no drinking on the beach or they will fine you $1045 if you get caught! 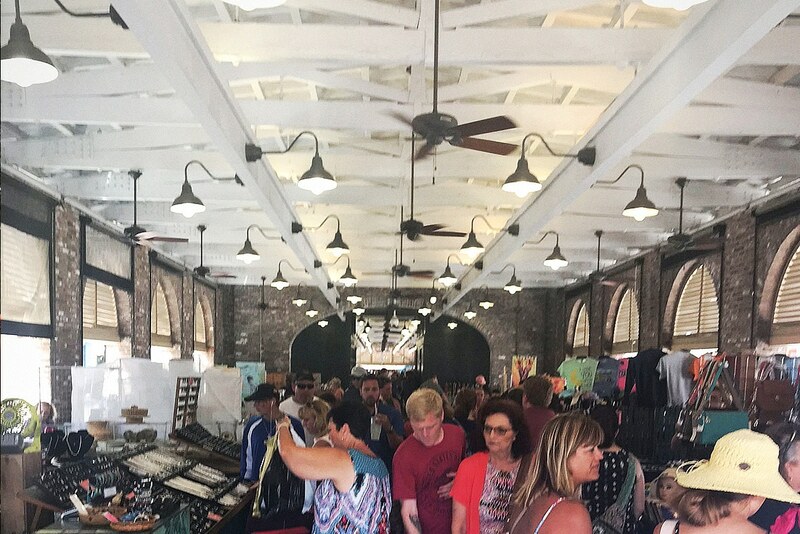 The Historic Charleston Market should not be missed. It has all the southern goodies to pickup. I bought my pecans and grits but lets not forget the South Carolina yellow rice. The one thing that we did stock up on is soap. Yes, there is a gentleman there that sells real soap with pure shea butter and African black soap. We found out that he also has an online shop Heaven Sent to reorder. 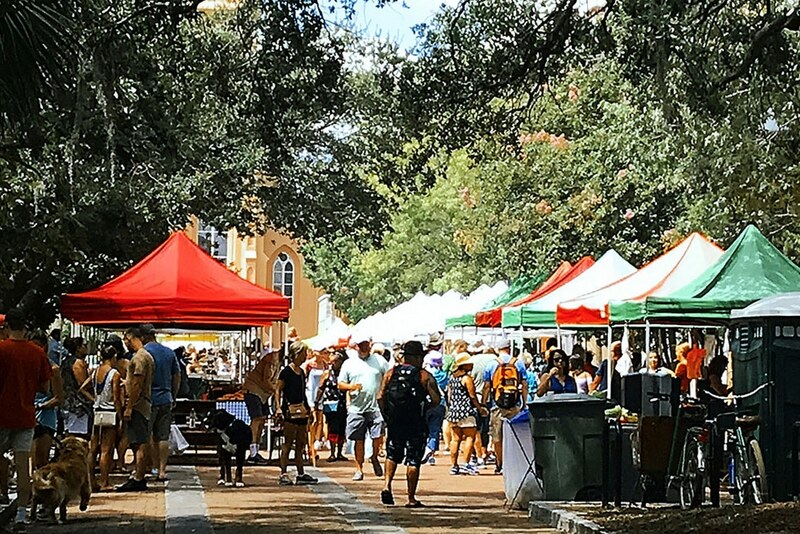 This farmers market happens every Saturday until 2:00pm in the center of Charleston. After our brunch we decided to walk around with music playing while they served homemade lemonade. It gets pretty crowded with tons of locals buying produce. I bought okra and some tomatoes to take back home. I could not believe how cheap produce were compared to the DC area. Like to get spooked? 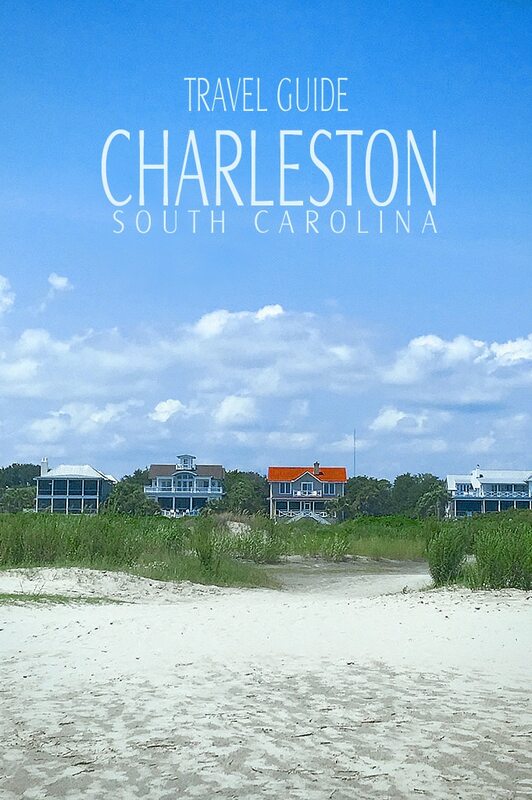 Well let just say that Charleston can do that for you. Tons of ghost tours everywhere you go. All you have to do is sign up. I would recommend you pay when you meet up and not in advance if they ask for cash. I always found the Ghost Tours will give you the real history of the town and how people live. Don’t be spooked but many witness ghost on there visits from snapping on an iPhone. Shop, Shop, Shop and then eat. Charleston reminds me a lot of Old Town Alexandria with King Street being the main street to walk up and down. They have tons of boutiques to shop. Clothes, shoes or just get your hair and nails done for an evening out on the town. 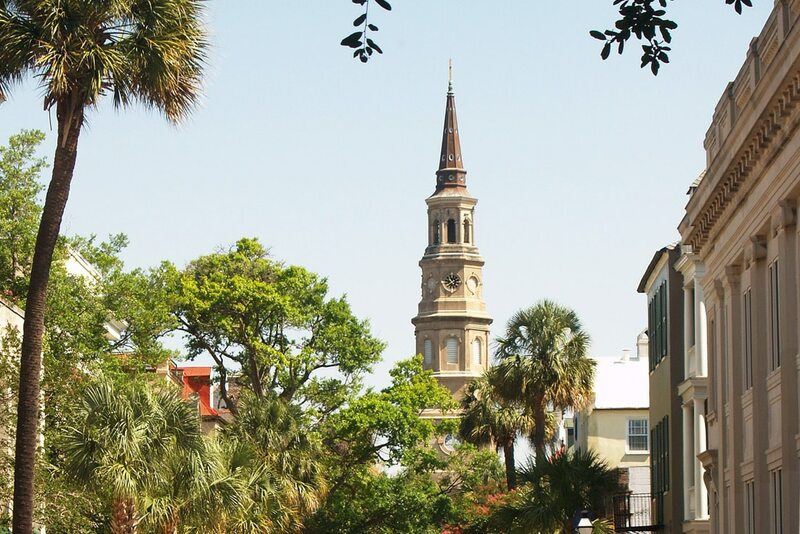 Charleston is a very popular destination for weddings which is probably why there are so many spas, salon, manicure around the corner. The one thing that we enjoyed the most was sight seeing the old buildings and eating the food. A historical hotel that is so beautiful inside, it will impress anyone with good taste. 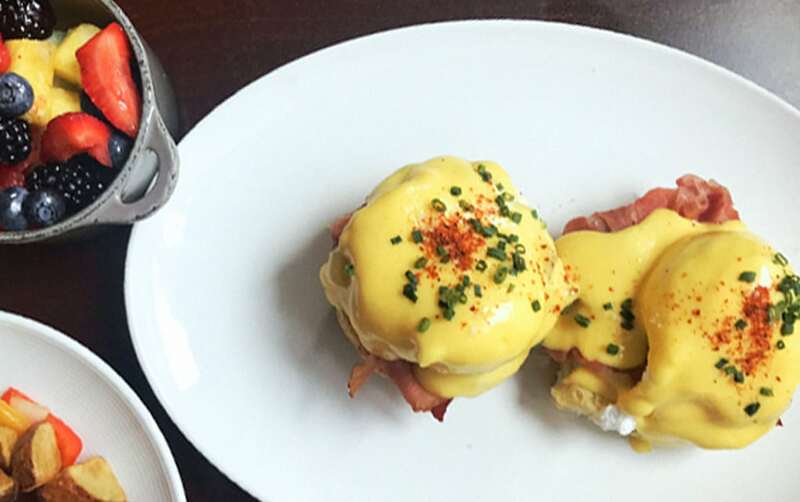 A must for such a wonderful brunch and the staff is full of southern charm. This is one of the best places to eat in Charleston SC. We were all happy with our meals with everyone finishing there plate. I would recommend the biscuits and grits are a must to try. Nothing better then to start your day with a super brunch in downtown Charleston. When you dream of biscuits like I do this place has out beat any biscuit I have ever had in my life! It is a tall, flaky, airy biscuit with that wonderful taste of butter that is real butter. They use creamy butter and none other then WhiteLily flour that makes all the differences in the world. 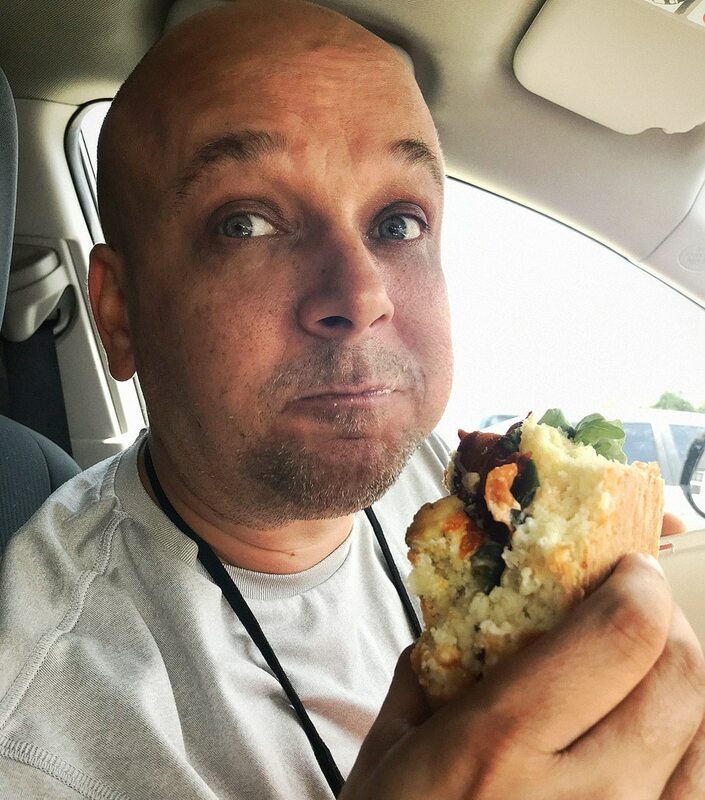 We ordered 2 of the sandwich biscuits for lunch and we could not get enough! You know your in love with the first look at the person and your heart melts. Same with a plate going by at CRU. It was amazing just seeing the servers bring plates to the table and I wanted to taste every single one of them. In the middle of our meal we saw the fried green tomatoes go by and we had to order them. The brie with the crusted pecan and maple syrup was a complete surprise on how good it tasted. With so little time and so many great places to eat, Felix made it to the list. It was right next door to our hotel which we did not know until we got there. The portion are set up for all to share at the table and then you share as you order the next. It is perfect to eat and talk with a great glass of wine and signature cocktails to drink. It is very reasonable price and 2 can eat for under $80.00 with a cocktail. This out of downtown restaurant is well worth the trip. 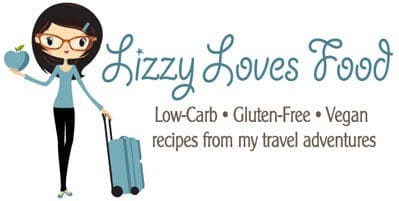 It’s been featured in Diner’s Drive-In & Dive’s and once you taste the food you will know why. The Brunswick Stew with the frites and duck gravy is out of this world. Not to mention we ended up ordering 3 orders of frites and duck gravy. Yes, we ate is all and could have bathed in the gravy it was that good. Now here is why this place is so popular. If you never had duck or love duck, this sandwich will knock you out. It is so delicious I could have had 2 but was so full from eating the frites and duck gravy. Nothing fancy, just good old fashion good food to enjoy any night of the week. No reservation but it’s packed and they have seating outside. You can’t enjoy dinner without dessert at the end of a meal. Even though I was filled from dinner I could not pass up being in town and not have dessert. Not only is this an ice cream place but the butter cookie that wraps the inside filling is the show of this dessert. The inside of every ice cream sandwich is filled like a homemade pie. Even though I was filled this night, I still was determine to try this ice cream. Who can say no to ice cream? 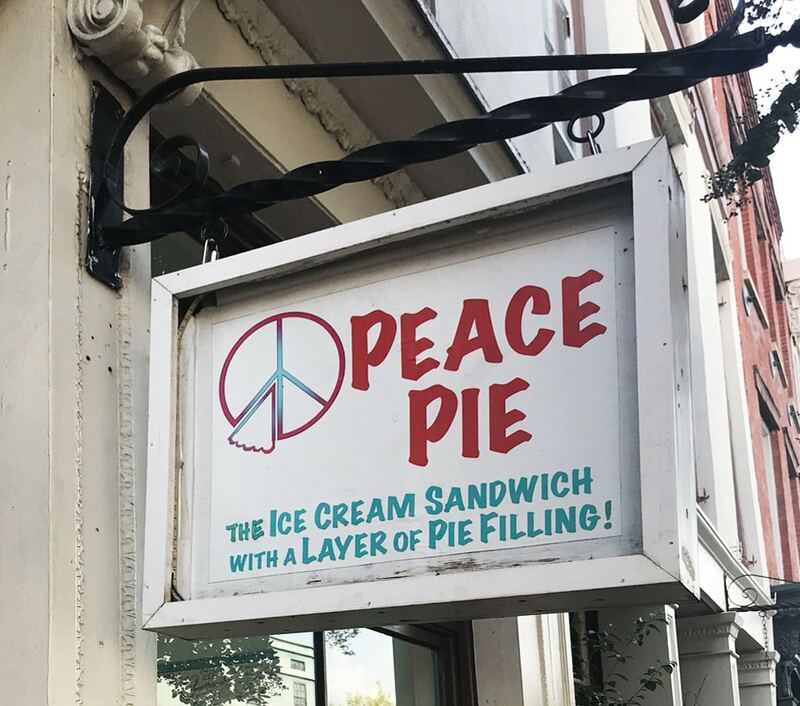 This place makes the ice cream right there in from of you. The cream is laid on to the freezing pan and the mixture begins. Then it is scrapped into logs and top off with whatever you topping you pick. I got the small size and it was still to big to finish. Super creamy and I would definitely share one for 2 people. Till we meet again Charleston, South Carolina but next time I will go on a diet before I come to visit; I gained 5 pounds on this trip but it was well worth it! One of the must things to do in Charleston is a ghost tour. If you decided to do a tour I would buy them online. 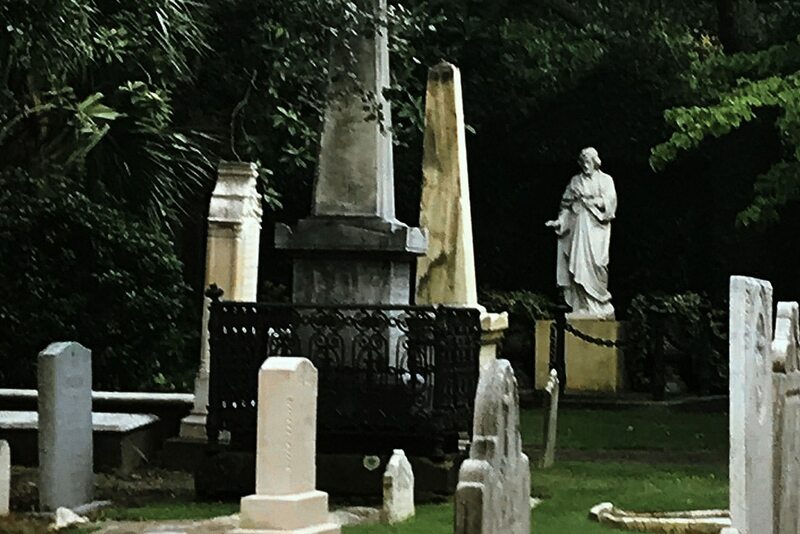 There are plenty of tours to pick from to see Charleston charm or if you like a good spooky ghost story. The best form of transportation is a vehicle to get around. So rent your car at the airport for easy pick-up and drop-off. In the downtown area I parked the car and Uber or Lyft got us around. The parking can be a real pain on the street and not worth the frustration.